The new staple in my everyday makeup is copper eye shadow. It seems far from normal color to wear daily, but it gives just enough shimmer (without looking like I’m heading to the club) and makes my ordinary brown eyes pop. Just add black ‘cat eye’ liner and an extra coat of mascara to transition from day to night. I’ve gotten tons of compliments when wearing it! 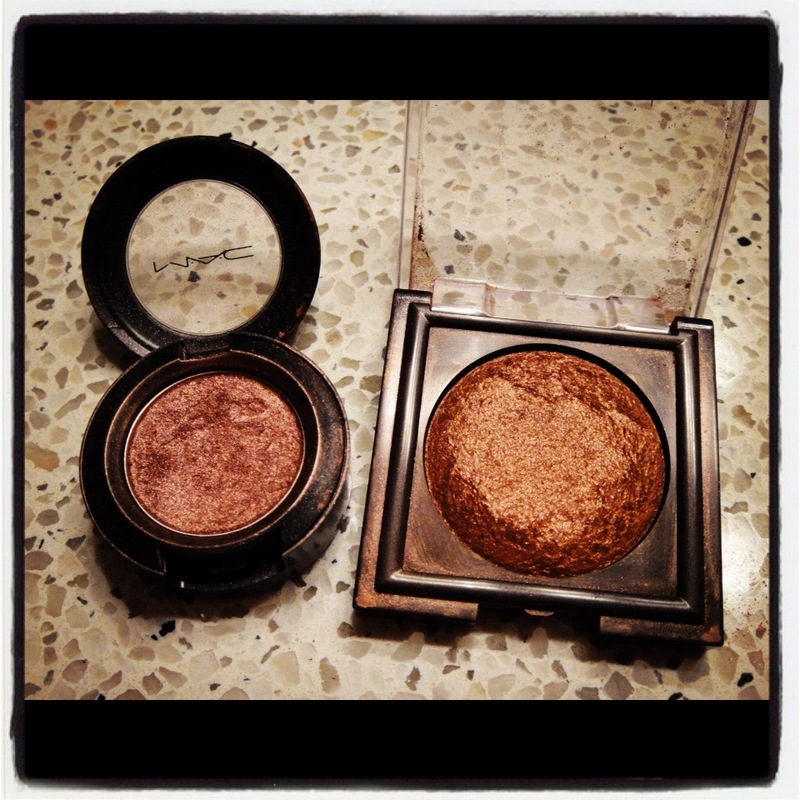 On the left is MAC’s eyeshadow in Mythology, on the right is Laura Mercier in Terracotta.